"We hoped success would pay for development." On the day of Mortal Kombat's UK launch, series creator Ed Boon has recounted the controversy that marred the very first game in the gory fighting series. Mortal Kombat, which launched on the SNES and Mega Drive in 1993 after its arcade release, sparked a moral panic after politicians noticed its digitised, over-the-top violence, particularly in relation to its Fatalities. Nintendo decided to censor the game, insisting that blood spurts be converted into grey sweat puffs and Fatalities be altered. "The controversy with the game originally was because there was no rating system in place, and people were objecting to the fact that a game that was as violent as it is, did not have a rating," Boon recalls, nearly 20 years later. "I agree with that idea. The rating system is great. "The censorship with the SNES version was a response to that. Nintendo felt like they had an obligation to not offer something like this to a system that's played by many young players. "But after we had the rating system in place, they felt, OK, if there's a rating on the box and people understand it's a violent game, then it's OK to sell it because it's intended for an older audience." The game owes its existence to Capcom's Street Fighter, Boon revealed. "Back then, in 1991/92, fighting games were one of the biggest categories of games that were out there. Street Fighter II was getting into its stride. We felt we wanted to do something that was an American-made fighting game with the latest technology, which was digitised graphics at the time. "We felt we had something to contribute in that field." It was a smart move. Mortal Kombat, published in arcades by now defunct company Midway and on home consoles by Acclaim Entertainment, went on to enjoy phenomenal success. There have been countless sequels, spin-offs, crossovers and console ports. The series has even spawned Mortal Kombat movies and TV shows. "I don't think anybody was expecting the level of success the game had," Boon said. "It would be arrogant of me to assume that something was going to perform this well. It was a big surprise to us. "We hoped we would reach some level of success and pay for the development of the game. But I would have never have guessed that almost 20 years later we would still be making Mortal Kombat games." Now, in 2011, Boon has just shipped a new, Unreal Engine 3-fuelled game in the series, simply called Mortal Kombat. 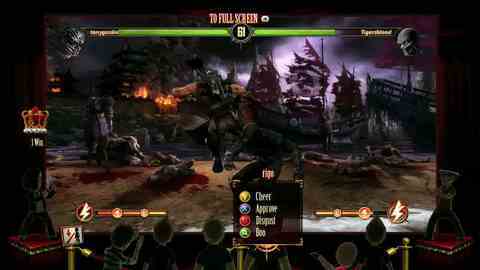 It was developed by NetherRealm Studios, created by Warner Bros. after Midway's demise. Eurogamer's Mortal Kombat review smashed in a 7/10. UPDATE: Mortal Kombat 10 announced. First trailer released.